Half-Off Depot has another awesome deal today – this time on gas! 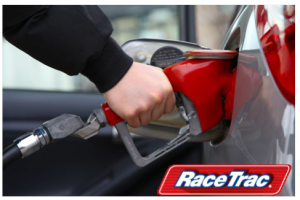 Get a $10 RaceTrac Gift Card for $5 today while supplies last. Within 30 days, head to their Redemption Page and enter your voucher number and relevant info so they can mail your gift card. Wait for it to arrive and then use it for half off your gas! Check here for more daily deals.